X-Small - £81.99 Small - £81.99 Medium - £81.99 Large - £81.99 X-Large - £81.99 Only 4 left! That’s right, we’re suggesting that you become a Ghostbuster! It might take some time and effort, but we think you can do it. You’ll probably need to invent a proton pack to use against rogue phantoms. You might need to make a few breakthroughs in ectoplasmic science in order to create a Muon Trap to transport captured specters. And you might need to upgrade your automobile to look a little more like the Ecto-1. First thing’s first, though. 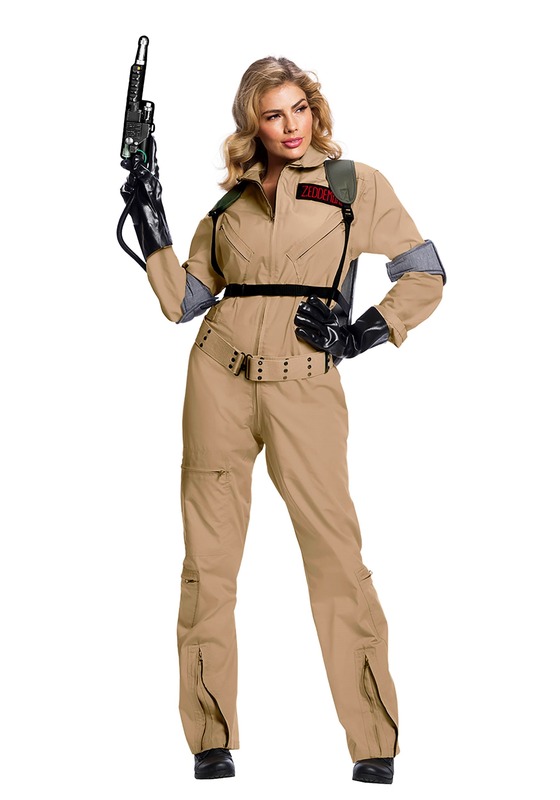 You’re going to need a brand-spankin' new ghost-hunting uniform. Leave that part up to use! 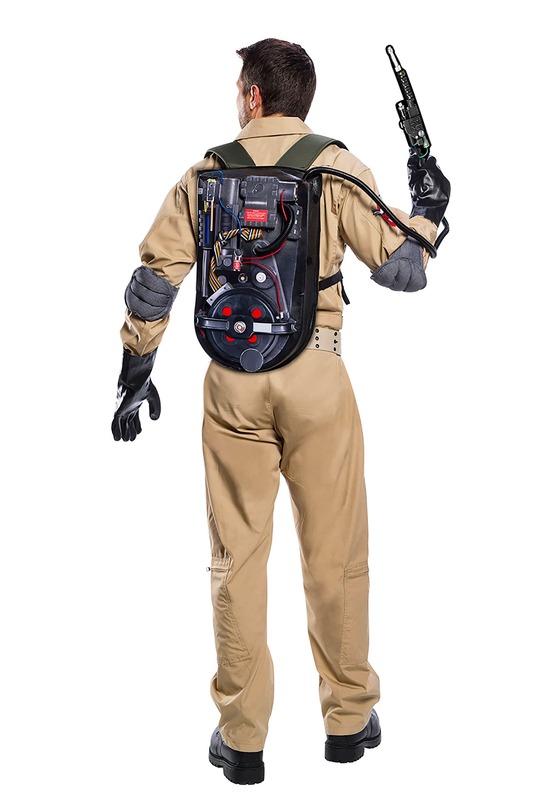 Based on the classic movie, this Premium Ghostbusters costume comes with everything you need to look like one of the crew. The costume comes with a tan jumpsuit that zips up in front. It has pockets in the chest and along the legs. 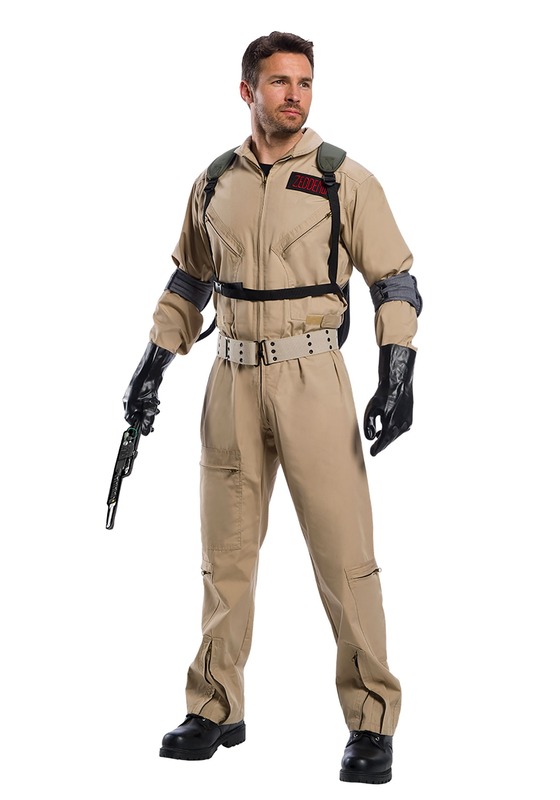 It comes with 4 name patches, Venkman, Stantz, Spengler, and Zeddemore, which can be applied to the chest. The included backpack is made of 3D foam and is shaped to look like the device used by the team in the movies. It slings easily around your shoulders with adjustable straps. The canvas belt fits quite simply around the waist, while the gloves and elbow-pads really complete the look. When you slip into this classic Ghostbusters costume, you’ll have no problem assuming the new role of supernatural investigator. You can try it out for a night to see how it feels at the next costume party. Just make sure you get to inventing all of those neat gadgets if you plan on taking this new career path seriously, since you’re going to need some serious tech if you plan on going toe to toe with all of the ghosties out there! You also might need a team, so be sure to call up a few of your friends to head out as a group of Ghostbusters this year.